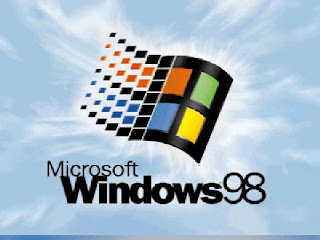 It has been a little bit more than ten years since Windows 98 was released. I remember that when I moved from Windows 95 to Windows 98 I was pretty amazed... you actually could put more than 8 character long names to your files!!! I used to think a lot how to name my files to put them in 8 characters but with enough information to know which file was which one. People that didn't use Windows 95 won't be able to understand what I'm talking about. But, anyways, Windows 95 and 98 weren't true operating systems (OS). They were just graphic interfaces to use DOS 6. Windows XP is a true OS. It uses the Windows 2000 kernet, which was the new version of Windows NT, which took the kernel of OS/2 (an OS developed by Microsoft and IBM together). Nowadays everyone uses an Widows NT kernel based OS (Windows 2000, Windows XP, Windows Server, Windows Vista). People just got used to it and are kind of confortable with it. However... I just had to install Windows 98 on a Pentium 4 computer!!! I don't know who would do that if it isn't because he needs it (exept for computer geeks). Anyways, I'm having a lot of troubles of compatibility, and also I'm having memories of the problems I used to have.